It’s a product that should appeal to those of you who have had an inkling to get into 3D printing now, but have so far been put off by the cost. The units Kogan is selling won’t actually leave the warehouse until 5 June. 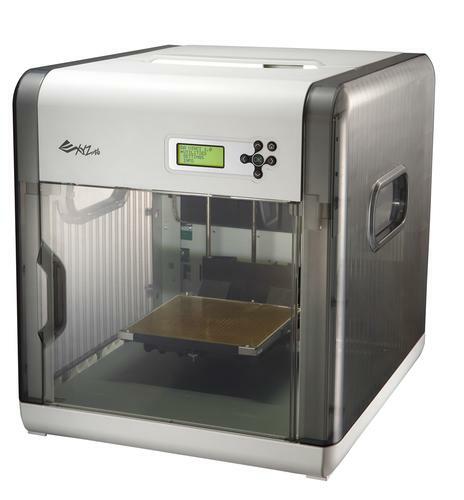 The 3D printer has the ability to create objects up to a size of 20x20x20cm with ABS filament material, and it melts this filament out through a single nozzle. What all this means is that you can print out plastic figurines or any other types of objects that are up to 20cm cubed using one single colour. The maximum print speed is about 150mm per second (with slower settings available) and the finest print layering is 0.1mm (100 micron). There are 12 different filament colours available for this printer, which look like spools of thread in a cartridge, and these are worth $39 each on the Kogan site (just like the printer itself, they are currently on pre-sale). It’s a printer that is meant to be easy to use and also safe to operate. The filament cartridge slots in from the top, and the printer itself is mostly enclosed with a clear panel at the front so you can see your print in action. Designs can be downloaded from the XYZ Cloud, with support for XYZ and .stl files. It works with Windows and Mac via USB 2.0.